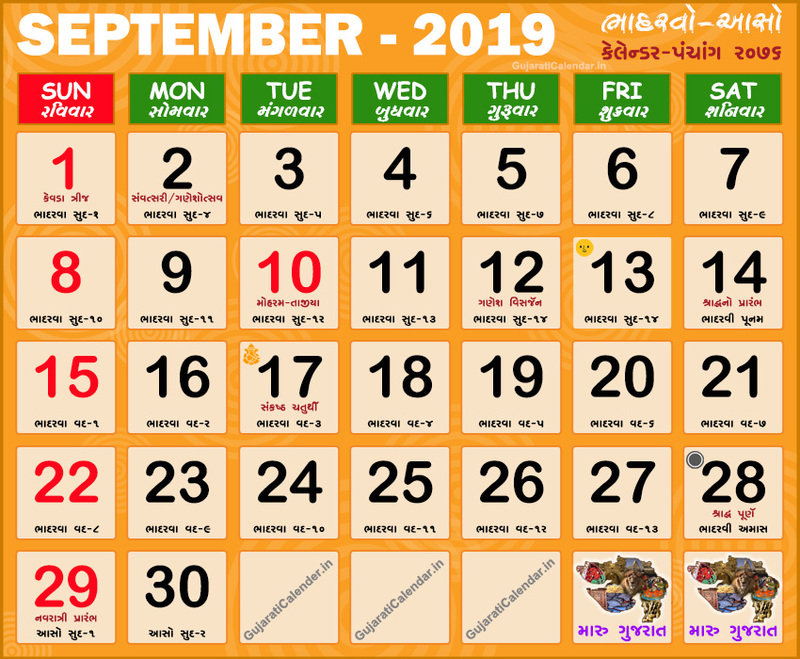 Gujarati calendar 2019 September showing festivals, holidays and tithi. September corresponds to the Gujarati months of Bhadarvo Aaso. Gujarati Calendar 2019 September, Gujarati month Bhadarvo and Aaso is the months of Sharad Rutu or Post-Monsoon. Prewinter will start from poonam of aaso month. Most important Hindu festivals occurring, among them Navratri, Ganeshotsav, Samvatsari, Kevda Trij and Shraddh. September 2019 is bhadarvo mahino in vikram samvat 2075-2076.